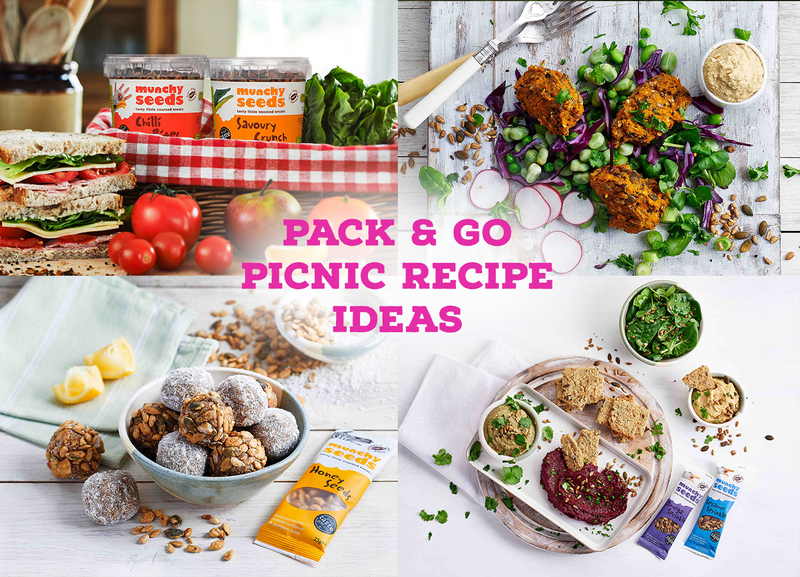 With the weather being so gorgeous and hot lately, we decided to share with you some of our favourite quick, healthy and delicious picnic recipes for all of that alfresco dining we know you’re enjoying! Firstly, an upgraded classic… Munchy Hummus! Hummus is such an easy and versatile addition to any picnic, you can add it to sandwiches, take fresh crunchy veggies to dip into it, and even use it to add texture and more flavour to salads! You just need chickpeas, garlic, lemon and tahini, and of course some savoury Munchy Seeds to give it that signature crunch! Simply click the link below to see details on how to make our scrummy, crunchy hummus. No picnic is complete without some greens, so why not add some sweetness and protein to your normal salad and make our feta and grilled peach salad with Omega Sprinkles. Full recipe is listed below. Next up, a crunchy take on the sausage roll. 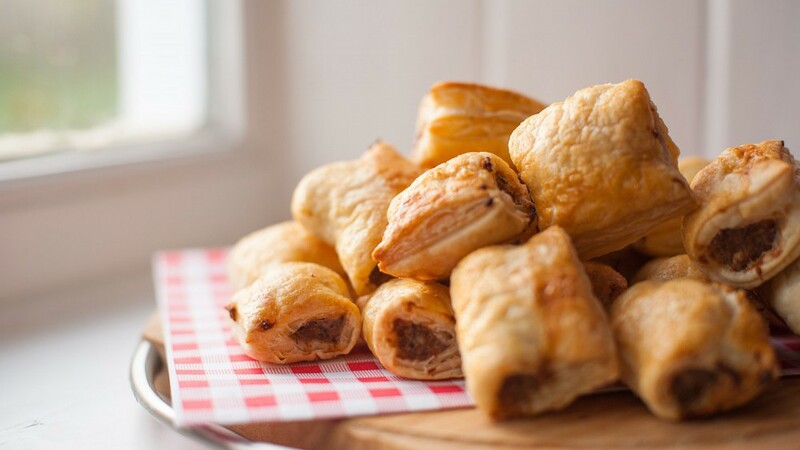 Homemade sausage rolls are one of my favourite things to make, they’re deceptively easy and taste so much better than store bought! The only things you need for these bad boys are a pack of ready-roll puff pastry, 500g of sausage meat (you can get this by literally just squeezing the meat out of store bought sausages), 1 royal gala apple, 1/2 red onion, 1 large free-range egg, 3-4 springs of fresh thyme and a pack of Sesame Sprinkles. Another updated classic, the tomato and mozzarella salad. Tomatoes are so sweet and juicy, especially at this time of year, and when combined with mozzarella, cucumber and some added Omega Sprinkles, they’re easily the easiest star of your picnic! All you have to do is slice up 4-5 beefsteak tomatoes, a ball of mozzarella, a 1/3 of a stick of cucumber and roughly rip or chop a generous handful of basil leaves before presenting them in the overlapped style, and topping with a packet of omega sprinkles, a drizzle of olive oil and some salt and pepper. Delicious! (And it only took you 5 minutes maximum!). And finally, you of course need something sweet and scrumptious to finish off your picnic with, so why not try making our Wimbledon inspired Victoria sponge cake with fresh cream, strawberries and Honey Seeds? It’s a perfect way to top off your picnic and goes perfectly with a cuppa or some lemonade! Recipe is linked below. Have you also tried our Salted Caramel & Coconut bliss balls yet? 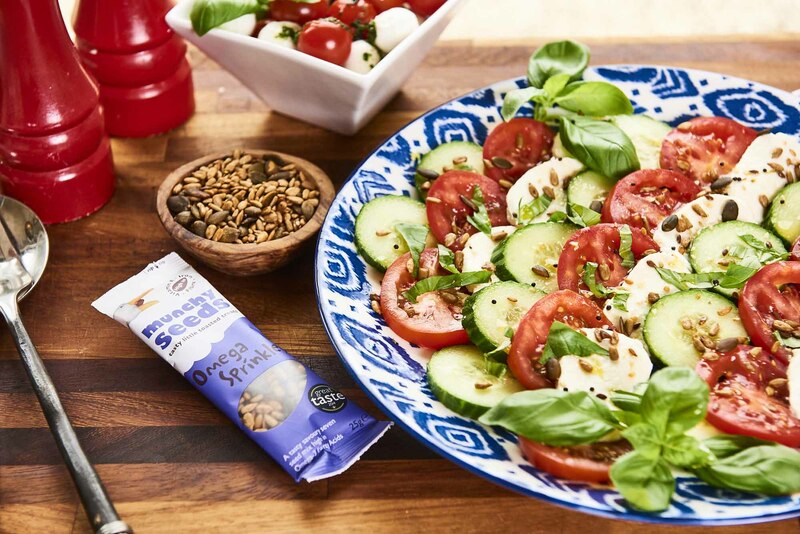 The moreish snack is full of protein, fibre, vitamins and minerals and are a good way of incorporating seeds into your diet. They’re gluten free, dairy free and free from refined sugar too! We hope these recipes add some new inspiration to your picnics, enjoy the sunshine and don’t forget that sun cream! Feel free to share your versions of our picnic ‘pack and go’ recipes by uploading photos of yours to social media and adding the hashtags #MunchyPicnic,#MunchyPackAndGo.